This is going to be your favorite chair workout. Today we are doing a circuit workout using a household chair. We will be working the lower body, core, and arm. You will not be bored with this circuit workout. 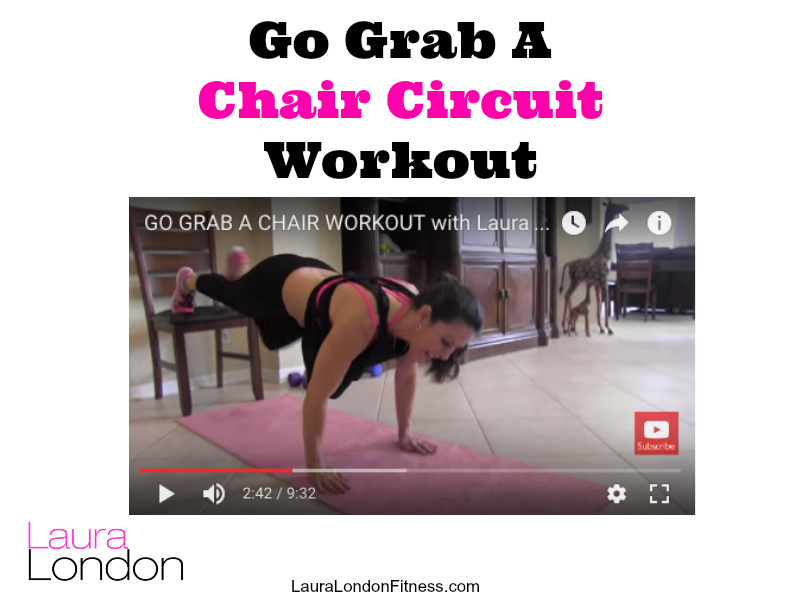 Try my other lower body chair workout and my staircase circuit workout to for even more variety. The best part is you don’t even need to leave the house! Perform each exercise, then repeat the circuit for 3-4 more rounds. Love my outfit! It’s by Fabletics. They have some of the best workout clothes to choose from. I see you on my JNL fusion workouts. I like that you are an older woman like me and that you look that fantastic! There’s hope for me, maybe.